Environmental: Commercial cotton needed to make one t-shirt requires 1/4lb of chemicals in the form of fertilizers pesticides. These can in turn contaminate ground water, marine life in rivers streams, as well as drinking water. Biodegradeable: Eco Organic textiles are earth friendly and bio-degrade naturally over time. Synthetic fibres take much longer to decay while emitting harmful toxins. Touch: Some people are allergic or dislike wearing synthetic materials. Eco textiles have the breathable properties of synthics but with the added luxary of softness drape. They feel better against the skin. Health: Synthetic clothing worn next to one’s porous skin, contains harmful chemicals. Organic and eco fibres are natural and do not contain any irritants. Many of them are considered hypo-allergenic and are naturally anti-bacterial. Organic foods have become more more popular over time, and are especially popular with the “baby and echo boomers”. Materials once considered to be alternative are now entering the mainstream. Eco Fibres used to manufacture textiles, do not require any pesticides or chemicals, are naturally disease free and resistant to mould mildew. Such fibres include hemp, bamboo and coir (coconut). Eco fibres can also be created from the end product of other process – most often a food product waste. For example soy fibre is made from the hulls of soybeans used to make tofu. Other examples include corn, chitin (crab shell) and linen (flax). Organic Cotton is grown in controlled settings with no pesticides, herbicides or other chemicals. Only natural fertilizers are used and the soil and water are controlled. There is no irradiation or genetic engineering. Conventional cotton requires 1/3lb of chemical fertilizer and pesticides to produce 1 pound of cotton fabric. Unfortunately, the residue of these chemicals find their way into the soil, air, water and the food we eat. Incredibly almost half of all agricultural chemicals used in the US, are applied to cotton! If a fibre is “certified organic” its growing conditions have been monitored and certified by an agency from one of several organic trade associations worldwide. The Organic Exchange, a non-profit trade group, can provide more information. Cotton’s exact age is unknown. Scientists have found pieces of cotton cloth in caves in Mexico that are at least 7,000 years old. It is one of the most popular fabrics in the world but it has traditionally been grown with mass use of pesticides, chemicals and water. The chemicals used in conventional cotton production are some of the most harmful known to man. Every year new chemicals are created to spray cotton crops as the cotton plant and insects that invade it, become immune to the chemicals currently in use. Cotton is now being grown in certified organic fields and in many cases it is processed in a manner to reduce environmental damage. Organic cotton still requires a great deal of water to grow. 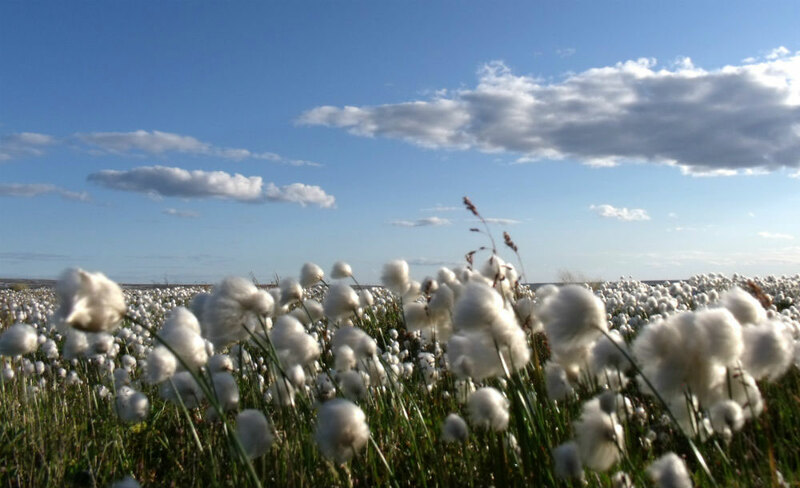 Due to the limited production and high expense of organic cotton fibre, it is often blended with conventional cotton. Turkey and USA are the largest producers of organic cotton, however, it still only accounts for .03% of the world total cotton production. Cotton remains a popular textile due to its natural wicking properties and absorption of dye color – although it fades over time. Cotton is a moderate strength cellulose fibre. Hemp is four times stronger than cotton and has twice the resistance to abrasion. 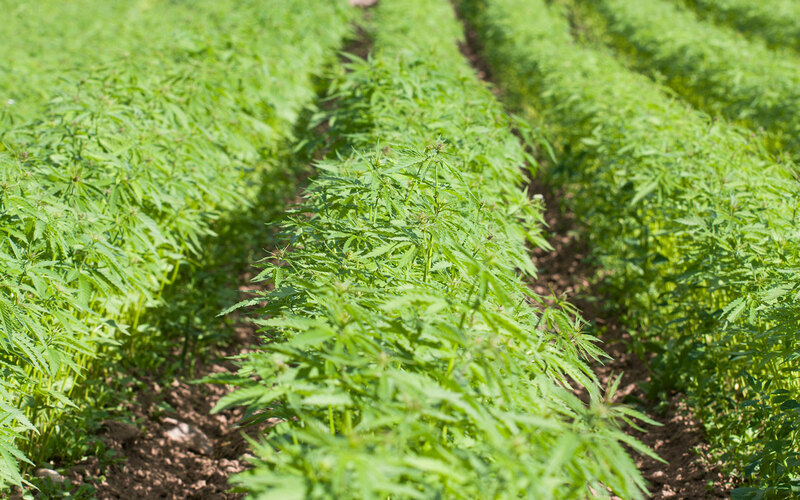 The hemp plant requires little pesticides and minimal rainfall for irrigation. Hemptown’s blend of 55% hemp 45% organic cotton is an intermediate step, creating a cost effective garment that retains hemp’s fibre strength, economy and soft, luxurious texture. Hemp has been cultivated longer than any other textile fibre. Archeologists in China have found cloth over 10,000 years old. In Japan it symbolized purity and was considered a sacred fabric. European renaissance painters used hemp for their canvases – the word canvas actually originated from the word ‘cannibis’. Since the middle ages, sailing ships used hemp for their ropes and sails. Hemp has played an important part in American history. In the early 1600’s hemp was considered such a vital resource that laws were passed ordering farmers to grow it. Colonial taxes were charged on hemp bales and even soldiers uniforms were made of hemp cloth. Even the original drafts for the American Constitution were written on hemp paper – made from scraps of colonial hemp cloth. As a bark fibre, rather than a seed fibre like cotton, hemp grows well without the use of herbicides, pesticides, fungicides or chemical fertilizers and does not require much water. Hemp is a renewable resource – a harvested field can be replanted ready for harvest the following year. It should be noted that almost half of the agricultural chemicals used on US crops are applied to cotton. Hemp is one of natures strongest fibres, and is 8 times stronger than cotton, as well as being more insulating and absorbant. It is resistant to UV light, mold mildew, salt water and abrasion. Tests show that it is able to kill staph and other bacteria that lands on its surface. It is also hypo-allergenic and non-irritating to the skin. Although extremely durable, when blended with organic cotton, the fabric is soft & comfy. There are many varieties of the marijuana plant. Hemp has been specifically cultivated for its long, fine, strong fibers. It does not contain the active ingredient drug of it’s cousin, marijuana. Bamboo is grown pesticide free in China. It grows so rapidly that it self-regenerates automatically and within 7 years can grow to full maturation. A chemical free process distills the bamboo into cellulose fiber which is then manufactured to rigid ISO world standards. Unlike nylon other synthetics which cause odors and harbor bacteria, bamboo has natural anti-bacterial properties. Its fabric is extremely breathable and has a high moisture absorption rate. Even after multiple washings, over 70% of bacteria cultured on bamboo textiles are destroyed by the fibre. As well, it has natural anti-ultraviolet properties, which help to protect skin from harmful sun damage. Bamboo T-Shirts are the most comfortable and softest on the market. Made from 70% bamboo fibre and 30% cotton, it is a natural environmentally sustainable fabric. Durable bamboo/cotton fabric is the eco-friendly textile for today’s world. Soy fibre was first discovered in the 40’s. Henry Ford was a big supporter and funded an experimental laboratory researching industrial uses for farm crops. Here he is proudly sporting a soy fibre suit, worn on his 78th birthday. The recent hunt for environmentally friendly products has created new demand and soy is an emerging alternative. Fibre is made from the hulls of soy beans used in food production. Soy can be grown organically and is naturally biodegradeable. It requires no pesticides and is often used to sow fields to replenish nutrients in the soil. Because of it’s luxurious soft hand, it is referred to as “vegetable cashmere.” Soy has natural wicking properties and is often combined with other cellulose fibers due to its rarity in the current marketplace. Because of soy’s natural amino acids, researchers are investigating the positive health effect the material may have on the wearers’ skin. Budget T-Shirt currently does not offer any products made from soy fibre. Legend has it that silk was discovered around 2640 B.C. when a Chinese Empress, Hsi Ling Shi, became intrigued by silkworms and started unwinding the threads on the cocoons. 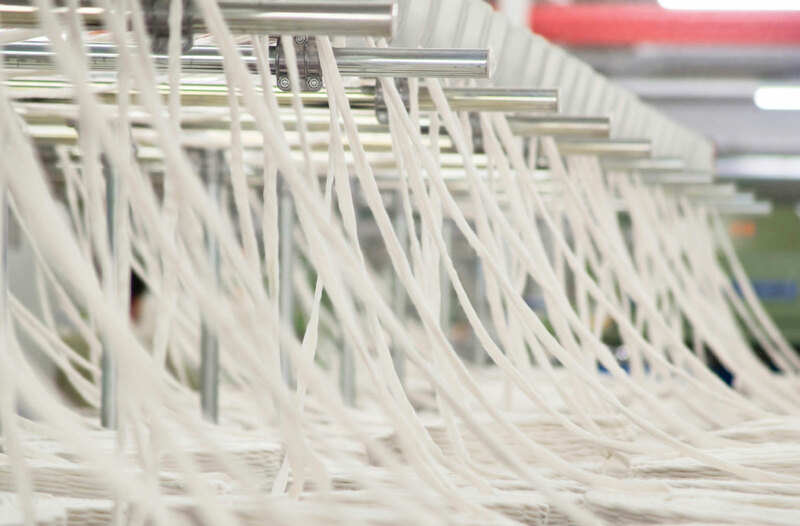 China still holds the monopoly on the industry today with 54% of the world’s silk production. Cultivated silk is a beautiful fiber with a smooth luxurious hand and a natural sheen. Wild silks are duller and have a more coarse hand and texture. Silk’s abrasion resistance is moderate but it is ranked high in strength due to its long strands. It accepts color exceptionally well and it is dyed in vibrant shades. It can be mixed with other stronger fibers to maximize its durability. Linen is one of the strongest of the vegetable fibers and has 2 to 3 times the strength of cotton. Not only is the linen fiber strong, it is smooth, making the finished fabric lint free. It grows softer over time and becomes finer the more it is washed. Linen is from the flax plant and is a bast fiber taken from the stalk. The luster is from its natural wax content. This fiber can be easily dyed and the color does not fade when washed. Linen does wrinkle easily but also presses easily. Highly absorbent and a good conductor of heat, this fabric is cool in garments. However, constant creasing in the same place in sharp folds will tend to break the linen threads. Linen has poor elasticity and does not spring back readily. Polyester Polyester fibers are re-used to make fabrics. Poly (ethylene terephthalate – or simply PET) is the most common polyester used for fiber purposes. This is the polymer used for making soft drink bottles. Recycling PET by re-melting it and extruding as a new fibre saves raw materials as well as reducing energy needs. Recycled Polyesters are popular because they are more fire-retardant, are easy to clean and inexpensive. They can be blended with almost any other fiber. One square yard of fabric contains the plastic of roughly five clear, 2-litre pop bottles. Eco Dyes use natural compounds found in nature for colouring textiles. Their use is currently limited to small dye baths and the substances used to bind them to cloth (mordants) are sometimes more harmful then regular dyestuffs. There are two companies in the world working to produce eco dyes that can be used in large-scale production and hopefully their products will be on the market in the near future. Low-Impact Dyes use non-azo reactive dyes which are less harmful to the environment and do not bond with organic material (such as fish or plant life). They contain no heavy metals or other toxic substances. Bleaching Most chemical bleaches contain chlorine which causes dioxins to be released and are very damaging to the environment. Hydrogen peroxide is a bleaching agent which has no toxic residue and does not damage the environment.